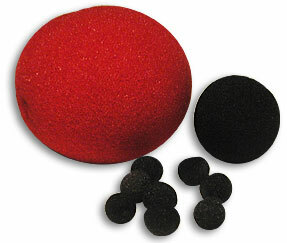 The performer displays a small (1.5 inch) red ball and a black ball. He pushes the balls into his closed fist and upon opening his hand, the red ball has transformed into a large (4 inch) ball and the black ball has changed into eight tiny black balls! Comes complete with all the necessary sponge balls.